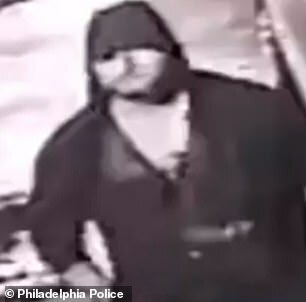 Police in Philadelphia released surveillance footage showing two men impersonating cops, abducting a woman, and then dropping her off at a police station. 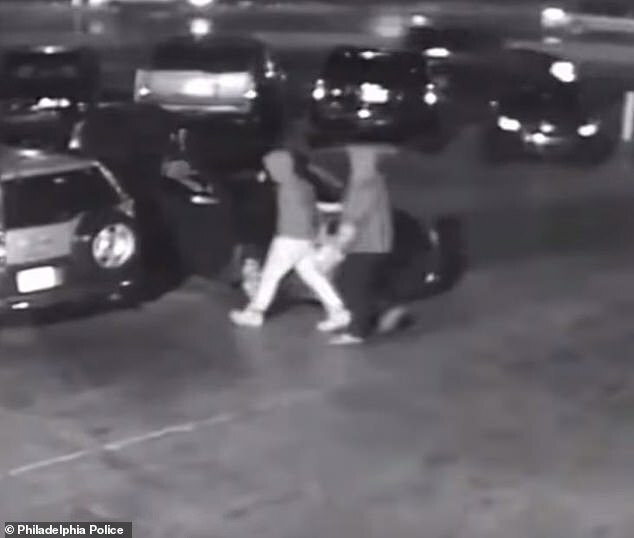 The video, which was filmed this past Thursday, shows what police say are ‘two Hispanic males’ wearing ‘police style vests’ approaching a parked car with two people sitting inside. 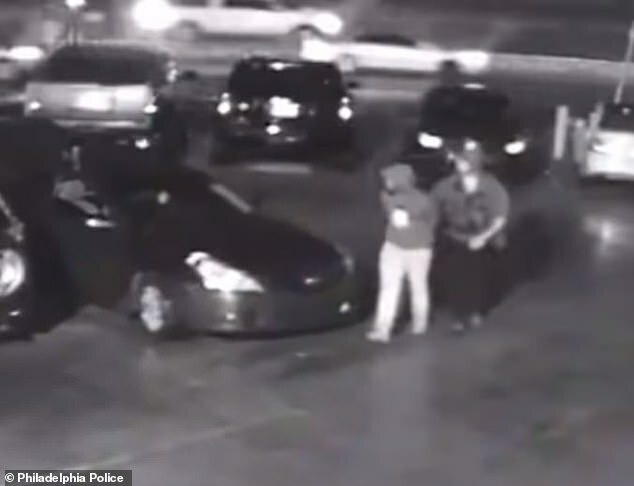 The ‘policemen’ are seen in the video ordering the man, 24, and woman, 25, out of the car at around 9:15pm on Thursday. 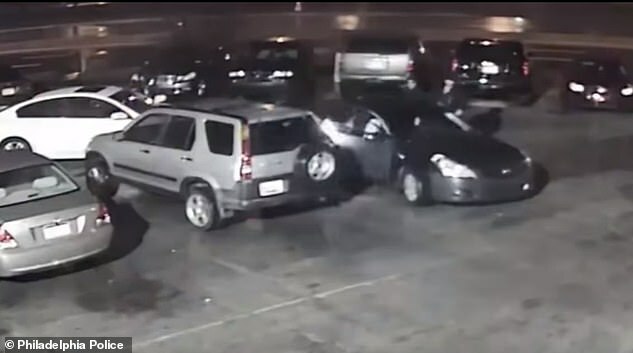 The impersonators then tied their hands with zip ties and forced the woman into the back of a car. 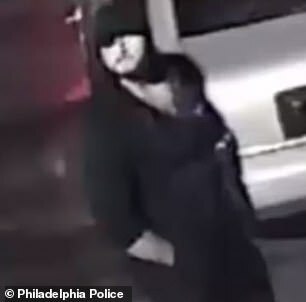 They took the woman to the 15th District police station in Philadelphia and dropped her off, authorities said. The incident is now being investigated as a robbery and abduction, though authorities would not say what was stolen from the couple. Neither of the victims were injured. Police are asking for the public’s help in identifying the suspects.